Bigger is not always better and if you’re looking for something smaller and more intimate visiting Cuba’s famous Jardines de la Reina off the coast of Cuba MV La Reina, part of the well established Avalon Fleet – may be ideal for your needs. Extraordinarily well preserved, the Jardines de la Reina marine park is, in part, so rich in marine life due to the small numbers allowed to experience their exclusive waters. Jardines de la Reina is only open to a maximum of 900 divers per year. Said by some marine experts to be one of the finest marine eco-systems available to dibe; with the largest fish populations in the Caribbean. 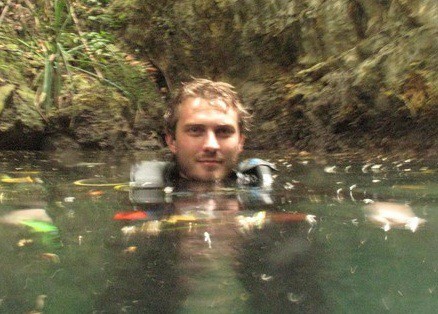 Jardines de la Reina or Garden of the Queen is a spectacular place to dive. Typically diving here you can expect to see vast shoals of tropical fish and, potentially, dive with up to 6 different species of shark that are found in the area; Silky, Reef, Lemon, Black tip, Great Hammerhead and Nurse. La Reina (“The Queen”) is the smallest of the Avalon Fleet liveaboard fleet. Smaller than sister vessels MV Avalon I, MV Avalon II and MV Georgiana. She is a modest 21m long. However, her smaller size gives her an intimacy and personality ideally suited to smaller groups. La Reina has only 4 guest cabins with space for 8 guests. 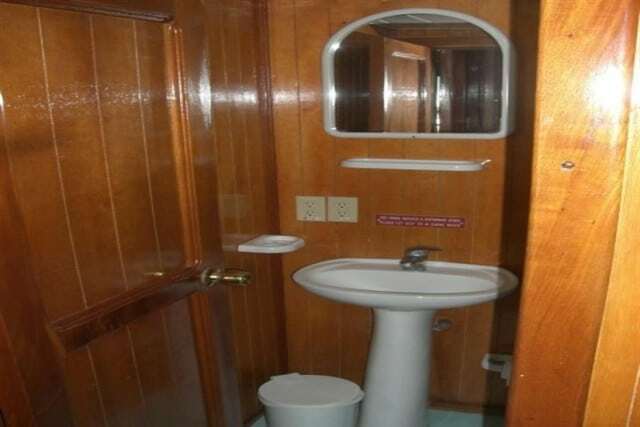 Each cabin has private ensuite bathroom facilities. And, to ensure your comfort and a restful night’s sleep, each cabin is cooled by a central air-conditioning system. Boarding at the port of Júcaro, La Reina then makes the 5 hour voyage to the marine park. On the journey you’ll be able to make use of some of the other facilities outside of the cabins. Meals are served outside on the fly deck where you can feel the warm Caribbean breeze and admire the panorama of the Jardines de la Reina marine park. Dining onboard is a mixture of international cuisine and the local Cuban specialities from the excellent onboard chef such as fresh seafood, rice and beans, and fried bananas. There are also a selection of beverages available onboard, from your complimentary mineral water to beers, wines and spirits. As you would also expect, there is an area to outdoor area to sunbathe and a shared PC for photo transfers. La Reina has a dedicated dive deck with rinse tanks where you can assemble your scuba unit and complete your pre-dive checks. DIN adaptors are onboard for those bring their own European regulators and there is an accompanying tender for pickups. The well-trained and attentive crew are there to assist you every fin kick of the way and all the expected safety equipment is on hand as a precaution; from oxygen and first aid kits to radio and radar. Being a smaller vessel – and one of the few allowed into the marine park – La Reina is able to take you to some of the most exclusive dive sites. Expect to budget approximately EUR2,089 for the 7 day stay. This equates to EUR298/day. However, please note that this does not include some extras including dive equipment rental (if required), crew tips etc. Please contact us for further details. 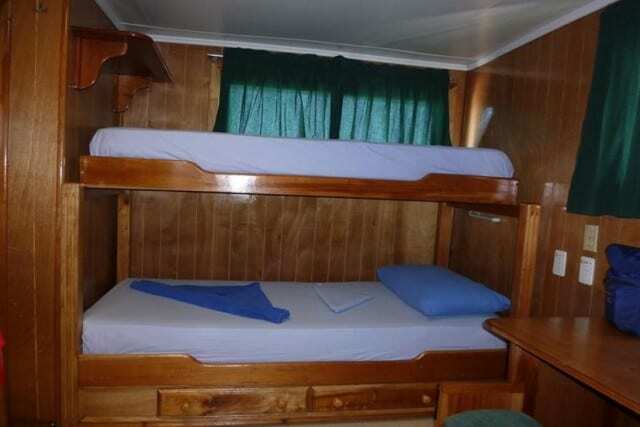 No Liveaboard Review yet on this page, please comment if you have been on the MV La Reina cruise. 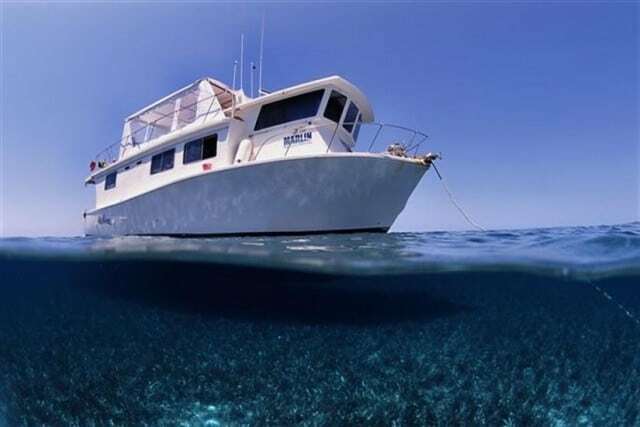 This vessel offers a great solution to those seeking a more intimate experience in the Jardines de la Reina marine park.